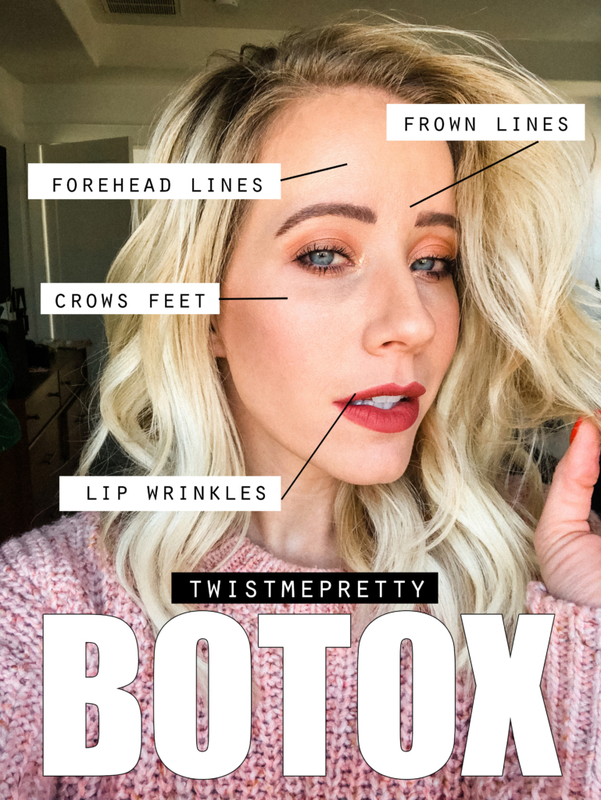 Well babes, the time has finally come to chat about BOTOX. I’m gonna be sharing all my secrets with you like, where to get it, how much to get, how much it costs, how to not look frozen, who to trust etcetera etcetera etcetera!! 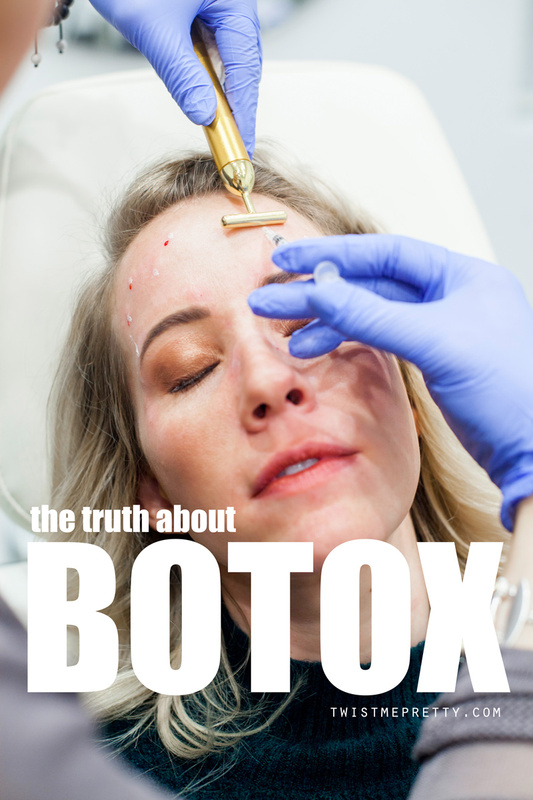 You deserve to know the truth about Botox and honestly it doesn’t have the best reputation. I feel like when people hear the word Botox they think of Joan Rivers or Courtney Cox. Sorry Courtney, I hate to even put your name in here because I love you so much! But we think of the frozen faces that no longer look natural. Botox though is not the culprit of those poorly constructed celebrity faces. It’s either fillers gone wrong or too much plastic surgery. When Botox is done right, it can you assist you naturally in the aging process and has become one of my best kept beauty secrets! 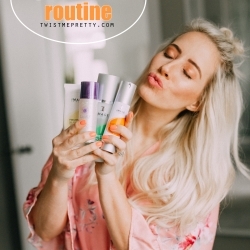 So let’s learn a little bit about what it does and how much it costs, where you can get it and then I’ll show you where I get it done and a few hacks on keeping it as natural as possible. In short, Botox is a neurotoxin that’s used to reduce fine lines and wrinkles by paralyzing facial muscles. Sounds a little ominous but it’s completely safe in small doses, I’ll go ahead and let you do some of your own research and decide for yourself what you think about it. Because Botox cuts off the communication with your brain and facial muscles, it helps with the aging process. If you scowl too much or have a habit of raising your eyebrows and you’re starting to notice permanent lines in your skin, botox will essentially paralyze those muscles or make them weaker, so that you’re not developing those deep lines in your skin. One habit I could not break was lifting my brows up while putting on mascara. I used to have deep lines that wouldn’t go away on my forehead + vertical lines between my brows and truly they made me so self-conscious, I hate them. Once I started getting botox the lines disappeared. When these pictures below were taken I hadn’t had botox in over 6 months. You can see when I raise my brows there are deep-ish (not as deep as they used to be) lines on my forehead and I can produce a slight scowl. Also I have smoker lines in my lips which has always bothered me. When I get Botox the ability to make such harsh lines goes away and because of the lack of mobility, the permanent lines cease to exist. Who needs to get it done? NO ONE! You do you!! Wrinkles are not bad. Wrinkles should not be thought of as bad! 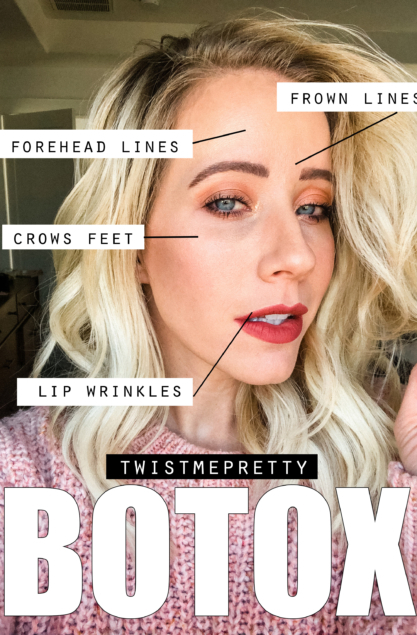 If you’ve never thought twice about Botox – this post is not for you! 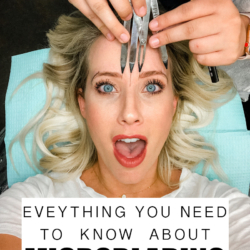 However, if you’re starting to research it because those lines on your forehead aren’t going away and they’re driving you NUTS, I’m hear to offer my experience so that you can have a positive one! Do not let anyone set expectations for you. I don’t get Botox because I’m worried about what people think, I get it because I want to! 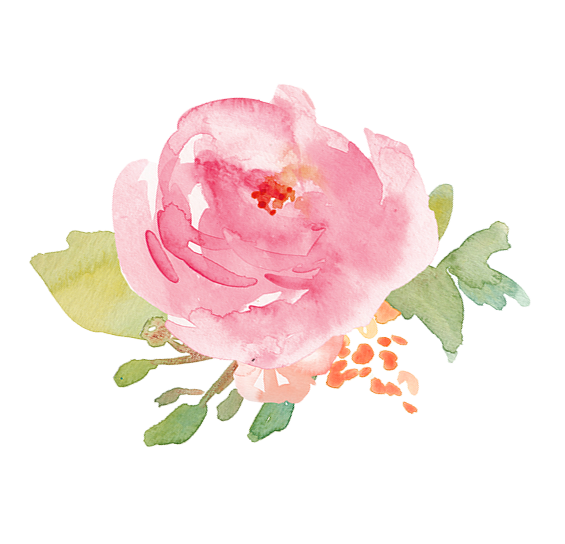 I love the way it makes me feel about my aging skin and the way my makeup goes on in the morning. I love the softer movements! If you understand your why and aren’t letting others or society dictate your choices or how you feel about yourself then you’re going to have a self confidence that so many people miss! I was 29 and regularly seeing a dermatologist for my hormonal acne post-twins. If you want to read up on my acne journey you can check out this post here. I’d heard a lot about Botox and honestly wasn’t super into the whole idea. I had no plans on getting it but while at a dermatologist appointment I asked about it… She raved. Went on and on about how amazing it was, she brought in all her nurses that had been getting it done and I was SHOOK 😂!!!! All you people are getting Botox?! It seriously caught me off guard. I told her that I’m super expressive and didn’t want to loose that. The whole being frozen and looking young forever just didn’t appeal to me. She suggested I get just a tiny bit to gain an understanding on how it works – I think she gave me maybe ten units? Ten units is nothing. But it was just enough to help me understand what Botox does. It doesn’t change your face shape, it’s not adding volume to your skin or changing really anything about you! It’s just weakening those strong facial muscles that can be annoying! I called my sister on the way home and told her what I’d done. We laughed the whole way about aging and not wanting to be vain but not wanting wrinkles and how hard it is to just grow up and let nature take its course! I don’t want to be frozen. I don’t want wrinkle-less skin. I EARNED THESE FREAKING WRINKLES!!!! However, I want to age gracefully. That’s why I get Botox. Not to be wrinkle-free or to try and be 20 again (I’m almost 32) but to just give myself the best chance of aging gracefully. Who to trust to give you Botox? 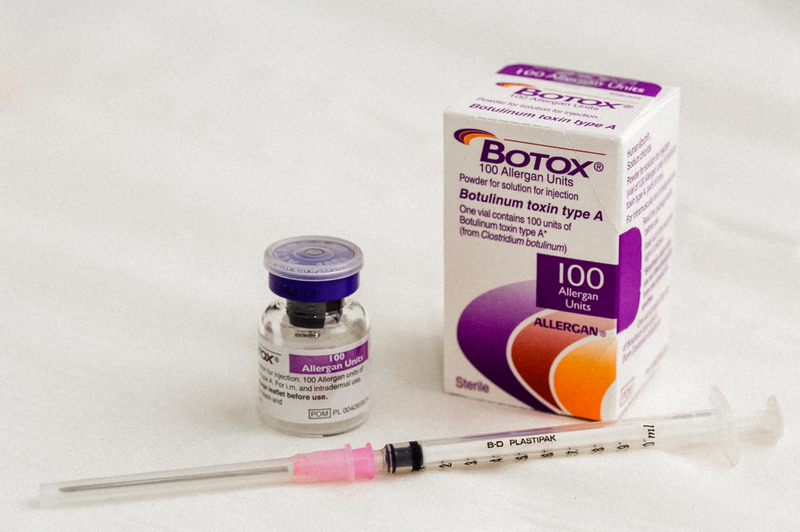 This is a question that came up a lot — who should I trust to inject my Botox? It’s important who you go to! 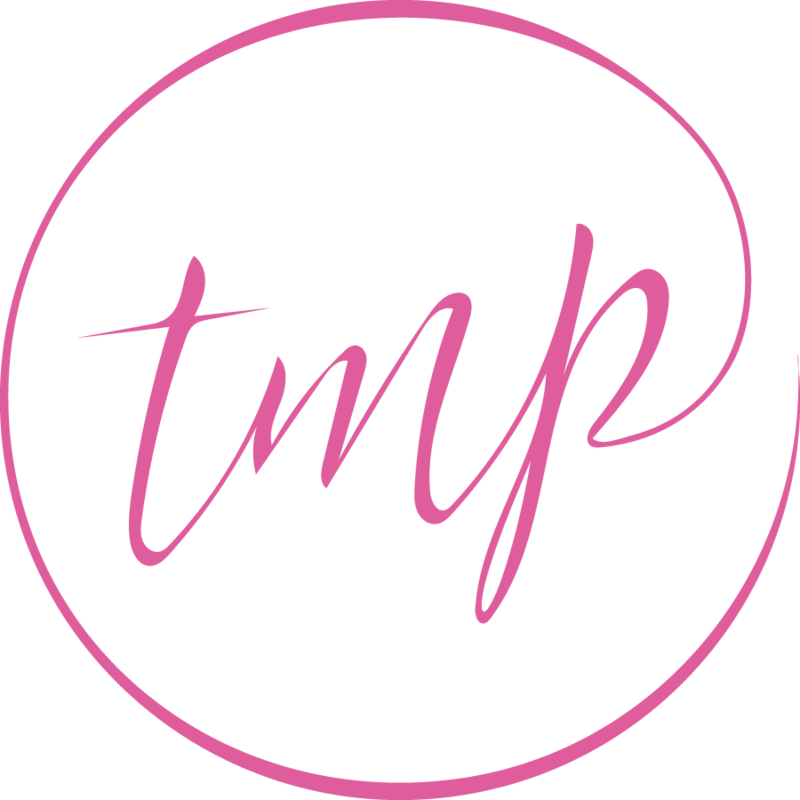 Having a skilled technician who knows what they’re doing and knows where and how much to inject is everything. Read this article here. 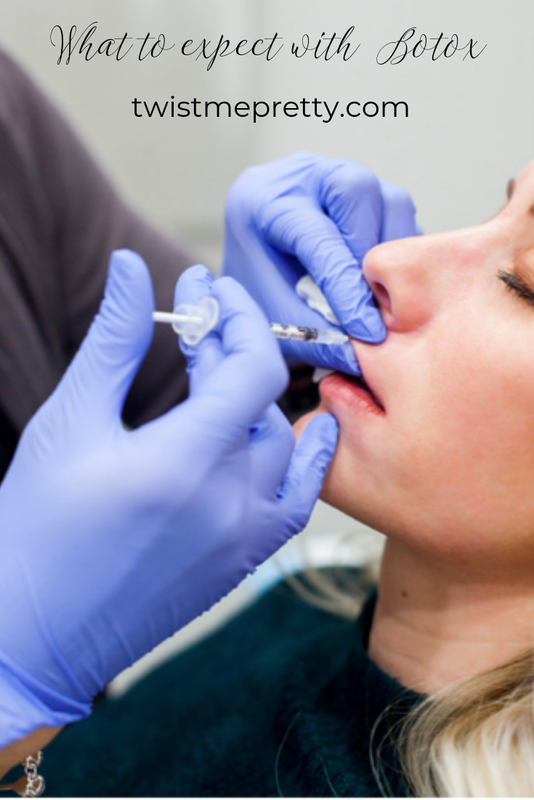 Using the wrong injector can make your experience pretty crummy and it’s also easy to get scammed on Botox. Are they injecting 100% Botox? Or has it been diluted? I went to a Spa last year that was offering a buy 20 units get 20 units free and I was like YEAHHHH!!!! The Botox wore off in half the time it should have and I had no proof it’d been watered down. I go to Elase Spa here in American Fork, UT. They’ve been recognized as Best of State nearly every year since 2008! Their office is stunning but I just feel confident that they’re selling me quality product and have superior injectors on their staff. How many units of Botox will I need and where should I get it? This is a tricky question because it depends on what you’re wanting, also how large and strong your muscles are. 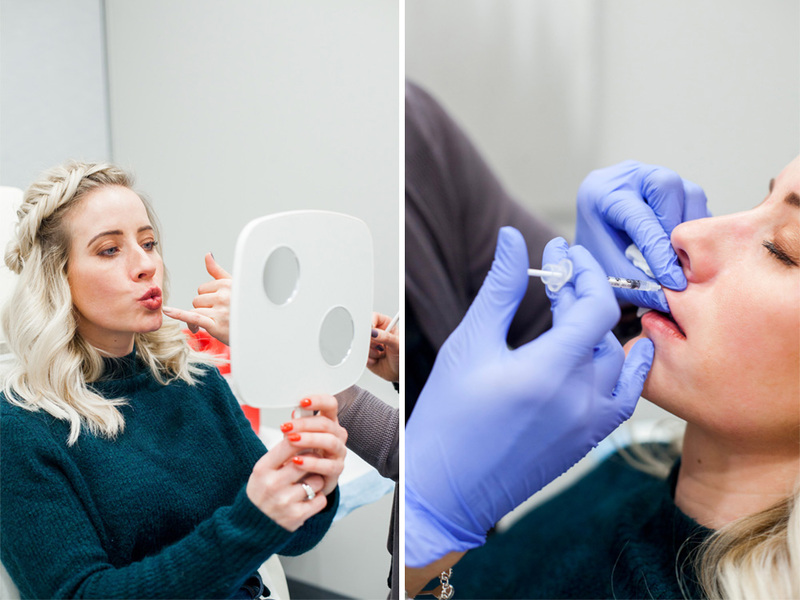 When I first started getting Botox, at 29, I got anywhere from 10-20 units. My doctor would laugh at me because it was such a little amount. It was just enough though to weaken the muscles in my forehead and between my brows. I’d get four pricks on my upper forehead and then a couple pricks in between my brows to prevent those vertical 11’s. Now that I’m almost 32 I usually get 30-40 units. 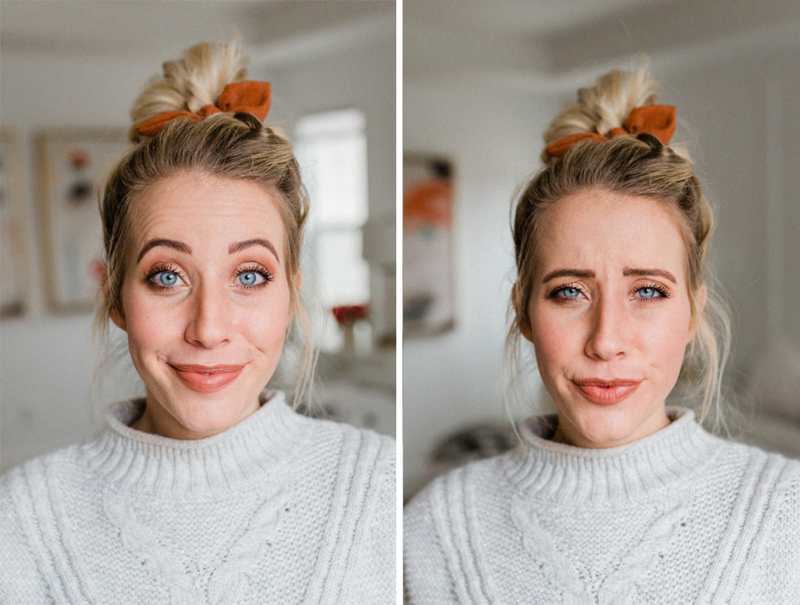 I get the same amount in my forehead and in between my brows but I’ve also added a little bit to help with crows feet and then some in my lips to prevent those dreaded lip wrinkles. Your injector should be highly skilled and should be able to help you assess where you could use it. My goal is to get just enough that my deep lines are softened. I still want movement in my face but I don’t care for the loud facial expressions that promote winkles. Tell your injector that you still want movement and he/she should be able to give you want you need and if you don’t like your first experience because you got too much or not enough, it wears off and you can always try again. It depends on where you get it but typically a unit of Botox is about $10 per unit. If you get 10 units it’ll be roughly $100. If you get 30 units, it’ll be upwards of $300. I spend about $400 every six months. I let my Botox completely wear off before I schedule another appointment and you’ll find the longer you get Botox the longer you can go in between sessions. When I turned 30 I started noticing the most awful smoker lines. Smoker lines run in my family, even though none of us smoke. Drinking from a straw or the stupid duck face that plagued all my pictures in the early 2000’s though could be the culprit haha! Genetics and lifestyle are against me here!! I asked my doc about them and she suggested a little bit of botox. So we tried it. I honestly don’t know how many units she used… I’d guess 10? I’ve had it done a couple ways, actually on the lip line where the wrinkle is and then I’ve also had it done in between the nose and lip area. This will actually drop your lip a little! A lot of people get Botox there to drop their lip so their smile isn’t as gummy or to give that little upturned lip like you see in girls who have fillers. My friend texted me a few weeks after I’d had my Botox done for the first time in my lips and she’d asked if I had gotten fillers! I was so shocked because I hadn’t noticed my lips looking bigger but they totally were! The Botox had weakened the lip muscle just enough that my top lip slightly dropped so more of my lip was showing than before. I can’t tell you how much I love botox on the lips! 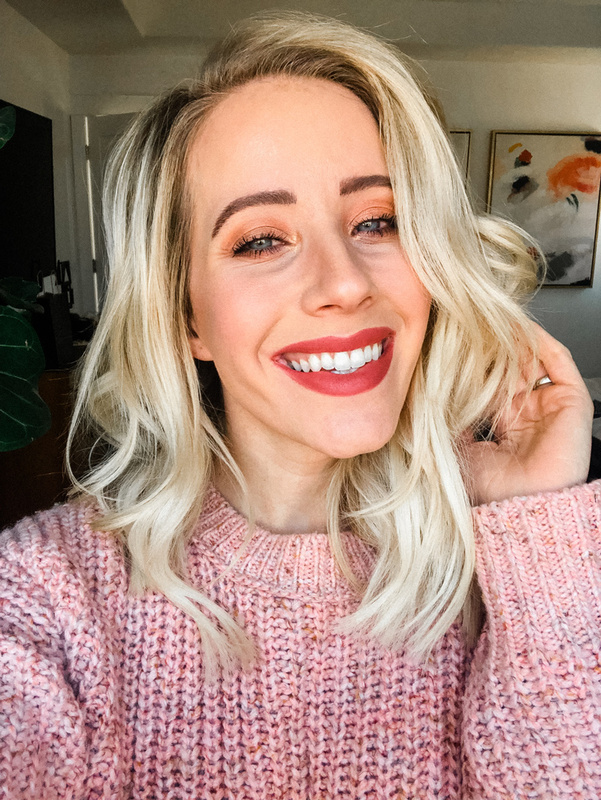 It’s impossible to get wrinkles when using straws, even though I’ve tried so hard to change my ways, and I’ve just found that applying lipstick and lipliner are so much easier and fun when I have less wrinkles to deal with! I’m not delusional though, I recognize wrinkles are a huge part of my future. Botox just slows down that process. It takes 72 hours to upwards of a week for Botox to start working. You won’t feel anything different you’ll just start noticing a lack of movement in your face. You’ll wake up one morning and you’ll be like, WHAT! Where are those forehead lines? 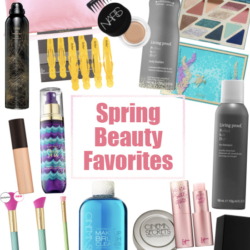 You’ll feel like a million bucks! Some people bruise when they are injected but it’s rare. I’ve only been bruised once on the forehead and once on the lips, that’s such a sensitive area. Immediately after the injection you’ll have what look like little mosquito bites but the tiny bit of redness and swelling will go down within the hour. By the next morning you’ll be as good as new, no one will suspect a thing and foundation will hardly even be necessary to cover anything up. The needles are so tiny that it isn’t painful, it’s more just uncomfortable. No one likes to get poked but it doesn’t hurt. The lips are the worst part and a lot of people don’t get Botox in the lips so you might not even need to worry! I remember the first time I got it done I thought it was so weird, I honestly wasn’t sure I was going to get it done again. I didn’t love that I couldn’t make certain faces, like scowling at my kids when they were scowling at me! Over time though I started preferring the more subtle movements but at first it did feel really weird. You can absolutely tell who has and hasn’t had botox. You just have to decide your why and then not care what anyone else thinks. There will always be people who hate the look of it and there will always be people who think you need it. So you figure out your why and then just decide what you want to do! * that gold bar that’s being used vibrates. It supposed to distract you from the needle and honestly it does a great job! 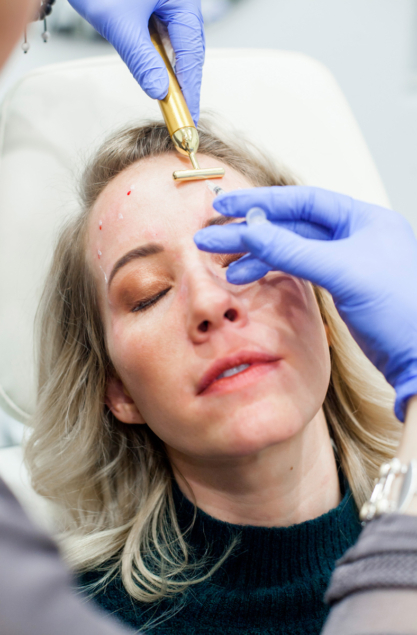 It depends on the person because everybody will metabolize the Botox at a different rate, but the effects from Botox typically last anywhere from three to six months. I haven’t had Botox since July 19, 2018, and I got 30 units. I haven’t needed it until now so it’s been over six months. I do have more movement than usual but I’m fine with it wearing completely off before getting more. I typically get Botox twice a year anywhere between 30-50 units. All in all Botox has given me some confidence back. I’m all about supporting whatever it is that makes you happy. I mean, I don’t think I’d support a meth habit haha but you get the point. Don’t worry about what other people are doing. 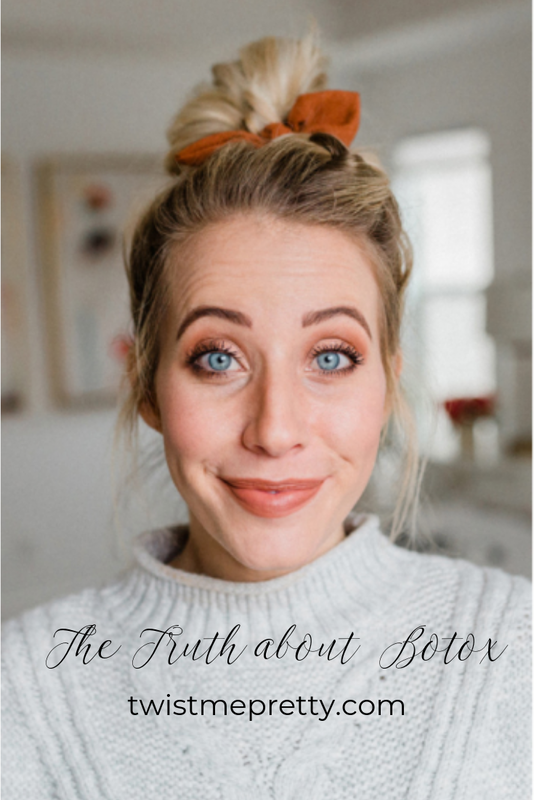 The truth about Botox is, if you want to try Botox, try it!!! Get a little bit and see how you feel! If you don’t like, it’ll wear off and you never need to get it done again. If you’re more on the conservative side and have no interest in injecting Botox into your beautiful face, then don’t!! You do what makes you happy. My skin has NEVER looked better and watching old videos of myself makes me cringe because I couldn’t even help wrinkling my whole face while talking. I didn’t know it then but I really hated how much my brows moved, it was distracting. I don’t like to see frozen faces because that’s just as awkward but Botox has made me forget about aging and I feel so much more confident in my skin. Was there anything I missed? Do you use Botox? How many units do you prefer? I’d love to hear from you in the comments below! Tell me your truth about Botox.